The long outdoor season has finally ended and already we are about to head straight into the Indoor World Cup and indoor season in general, here in the Northern Hemisphere. So, many of you are getting ready for indoor season, and many questions tend to come up at this time. In an effort to get ahead of some of the most common questions, let’s review some topical matters that might help shed some light on the process of getting ready for indoor competition. The most frequent question at this time of year is: What arrows should I shoot indoors? Aluminum or carbon? Or, should I just keep my outdoor setup? 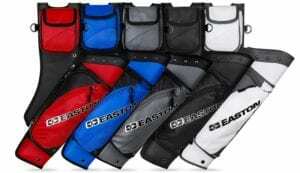 Let’s look at some of the choices and decisions that are involved at this time of year. All carbon shafts such as Easton’s Superdrive 23 are lighter and therefore faster than their equivalent spine and diameter in aluminum. Some shooters feel this can be more forgiving, because, the reasoning goes, the faster arrow allows less time for the shooter to interfere with the shot. 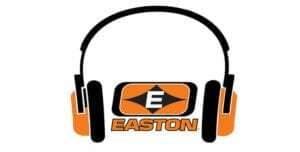 Easton all-carbon shafts have excellent precision in terms of spine and mass weight, exceptional durability, and are particularly good out of compound bows. However, spine choices are much more limited for recurve applications. With exceptionally high scores and achievements having been made with all-carbon Easton shafts indoors, it’s not a matter of precision so much as feel preference on the part of the shooter. Some shooters coming in from outdoor season and faster setups prefer the similar feel of a lighter carbon shaft departing the bow. 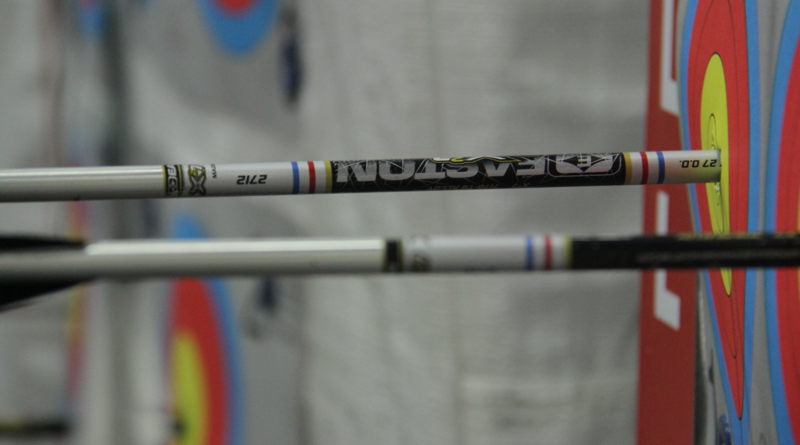 When it comes to Alloy-carbon arrows such as Easton’s ACE and X10, the surprising fact is that while these shafts own virtually every single world recurve and compound record outdoors, they also were used to set the current FITA indoor recurve records, and both the men’s and women’s current recurve indoor world champions shot X10’s. The chief reason an indoor shooter might wish to use an X10 indoors is that the tuning process is already complete from the outdoor season (or no real re-tuning effort is needed), and the extreme precision of these shafts carries through to the shorter distances with no compromise. At indoor distances, tuning is especially important, and the complete spine selection curve of these arrows makes a perfect recurve match easy. Relatively low cost, extreme precision, excellent durability, easy tuning, generous component choices and more make aluminum shafts the #1 choice of indoor shooters worldwide. 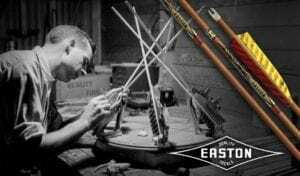 And with a size to ensure a perfect spine match for every shooter, predictable response to point weight tuning, and absolute ultimate precision tolerances, Easton’s aluminum shafts – especially the X23 series- continue to be the overwhelming favorite of precision indoor target shooters everywhere. No shaft material is more consistent and precise than aluminum. That’s one reason why the first perfect score ever shot- 600 60X- was accomplished by Netherlands archer Mike Schloesser, using the Easton X23, at the Nimes European Indoor. While it’s true that many FITA records and top scores have been set with Easton alloy-carbon shafts, it’s also true that no shaft material has won more indoor events overall than aluminum. For 2018, the new X23 size 2318 is now available, giving long-draw, max regulation weight World Archery competitors a 300 spine option that allows a heavy point as preferred by many competitors. Well, that depends to some degree on which discipline you shoot. In my opinion, if you are a top-level recurve shooter, and you have a good tune, then there’s little reason for a top level shooter to change their setup come indoor season. However, top-level shooters are the vast minority of shooters out there. For the vast majority- a club level recurve archer – there are undeniable benefits from the increased diameter and extreme precision of an aluminum shaft, especially one of the X7 or X23 aluminum models. Nothing’s more tunable than aluminum, and the cost is very reasonable, especially when you consider the durability and extreme precision of this category of arrow shaft. And, for any level compound archer, there are definite benefits to the increased shaft diameter of an Easton X7 or X23 aluminum shaft or Superdrive 23 All-carbon shaft, which is one reason both the men’s and women’s FITA world indoor records are held with this category of shaft.